Many travelers have the attitude that “it will never happen to us” and choose not to spend the extra money on insurance for the unlikely event something will go wrong. But bad things can happen to good cruisers, and can any of us afford to throw away the investment we make when we pay for a vacation? Sometimes, purchasing insurance is a no-brainer because you want to cover easy-to-foresee issues. For example, your elderly father has been in failing health, and it’s possible the illness will flare up and you’ll need to cancel your trip in order to stay home and care for him. Or, any of a number of unforeseen events could force a cancellation. You certainly don’t want to lose all the money you paid in advance, should something prevent you from taking the trip. With everything that could go wrong on the way to the cruise terminal or during the cruise itself, do you really want to chance it and go without travel insurance? Here’s everything you should know to find the best policy for your next vacation. You suddenly become too ill to travel a week before your cruise embarks. If you don’t have trip insurance and cancel your cruise now, you’ll be hit with a cancellation penalty and could lose the cost of the trip. You’re on the first leg of flights to the cruise port, and a mechanical delay causes you to miss your connecting flight — and your ship. Travel insurance covers these sorts of trip delays and missed connections. You make it to the Port on time, but the airline misdirected your luggage. Some policies include coverage to make sure your bag gets to the next port of call. Likewise, if the airline permanently misplaces your bag, trip insurance will help cover the loss. You’re two days into a 10-night Mediterranean cruise, and the ship develops a serious mechanical problem, which will necessitate the cancelling the rest of the voyage. While the cruise line will generally assist passengers in such predicaments, a travel insurance policy will give you ultimate coverage and will reimburse you for any unexpected out-of-pocket expenses that the cruise line won’t cover. It can happen so fast. You slip and fall, and the injury requires immediate medical treatment. The appropriate coverage will get you patched up right away without exorbitant out-of-pocket expenses. Some insurance policies cover financial default of airlines, hotels, cruise lines and tour operators. Check each policy carefully before purchasing. In the event of a serious illness requiring medical attention beyond what’s available on board your ship, a medevac may be the only option to save your life or the life of a loved one. Trip insurance may also cover the repatriation of remains if a death occurs during an insured vacation. You and your best friend have been planning to cruise together for more than a year. Two months before embarkation, your friend loses his job and can no longer afford to go on vacation. Without insurance, you may be left holding the bag to either pay an additional single supplement to continue with your plans or cancel and get hit with the full force of the cruise line’s cancellation policy. Not all policies offer job loss coverage; check the terms of your policy, and ask the insurer if it’s available as part of a package or add-on service. Acts of violence from war, terrorist activity or strikes are generally included in insurance policies. Weather. Don’t bother filing a claim because it rained each day of your cruise. Itinerary changes. Travel insurance covers your trip but not changes to the itinerary. Frequent flyer award tickets. Airline tickets purchased with frequent flyer miles aren’t covered. As the phrase suggests, you can cancel your trip for any reason. However, read the description of coverage to find out what percentage of your trip deposits are reimbursed under this type of “cancel for any reason” terminology. However, these policies are very expensive and may only make sense in certain circumstances. This supplemental add-on insurance provides extra coverage in the case of an aircraft accident. If your plans include the rental of a vehicle, car rental collision coverage can be useful. There are two flavors of insurance policies: primary and secondary. Primary insurance kicks in the moment something goes wrong — before or during your trip. Secondary insurance means that you must attempt to collect on any private insurance policies before the trip insurance coverage activates. Also, in a package policy, some coverage — like trip cancellation and travel delay — may be primary, while others — like lost baggage and medical coverage — may be secondary. When purchasing trip insurance, you’ve got tons of options. 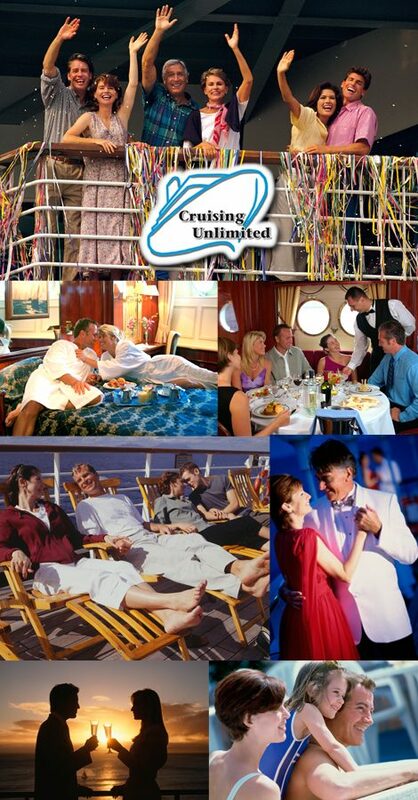 Just about every cruise line on the planet offers its own travel protection program. Cruise-line insurance usually offers secondary coverage, and it’s usually more limited than similarly priced coverage you can buy on your own. You can also select a policy from one of many third-party travel insurance companies. You’ll want to be sure that your policy is underwritten by a reputable and licensed insurer; companies are regulated by state insurance departments. Once you’ve vetted the providers on your short list, your best bet is to comparison shop. You can do this by searching a travel insurance aggregator site like InsureMyTrip.com. To take full advantage of any travel insurance policy, purchase it at the time you make your initial trip deposit. If you wait, you will not be eligible for many important benefits, like the waiver of the pre-existing conditions clause. Each insurer dictates its own window in which you may purchase travel insurance, but the deadline is usually 10 to 15 days after making a deposit on your trip but definitely before making final payment. Don’t worry if you’ve placed a deposit on your cruise but haven’t yet purchased your airline tickets. You can estimate the airfare cost when buying your travel insurance and then give your provider your exact travel itinerary once those tickets are booked. Remember, too, that you can’t purchase travel insurance and expect it to cover events that are already in motion. Once your local weatherman announces that a hurricane has formed along the path of your cruise itinerary, it’s too late for you to buy travel insurance and be covered for any travel cancellations or delays caused by the storm. You’d only be covered if you had purchased the insurance prior to the formation of the hurricane. The per-person price paid for a trip insurance policy will vary depending on many factors, including the insurer, where the traveler lives, the traveler’s age, cost of the trip, when the policy is purchased (at the time of the trip deposit or later), pre-existing health conditions and what the policy covers. In the end, only you can determine if trip insurance is right for you. Can you afford to lose the money you’ve spent on this vacation? Determine your tolerance level for loss, and go from there.